Get everything plus be a Featured Employer on the homepage, post unlimited jobs, Resume Access & we can import jobs from your career site if needed. We've built a platform for today's market that enables you to get your job in front of potential candidates quickly, efficiently and gives you the exposure you need for your job opening. Choose to receive applications by email or redirect applicants to a certain URL to complete the application process. Also if you have jobs already posted on a company website we have an option to import them automatically to LEGENDARYJobs. You will have all the necessary tools to manage jobs, see stats by job views, view applications from job seekers and manage profile settings in the dashboard. As an Employer you can create a company profile page where you can upload a logo, add a link to your website and post any other information to attract more applicants. 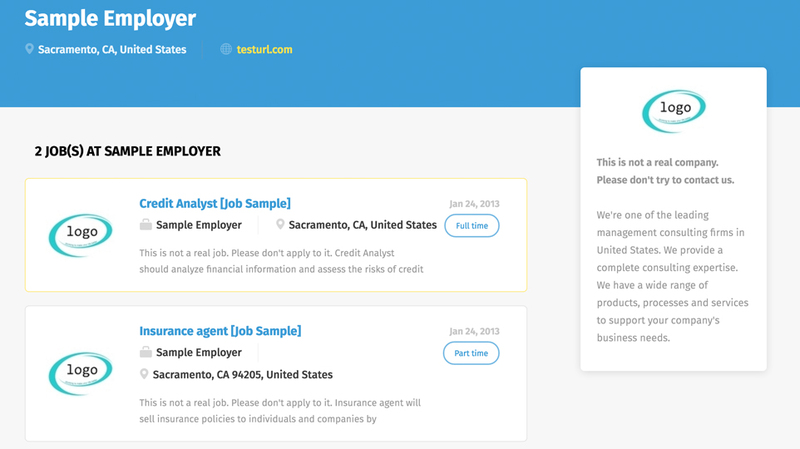 Also the page will display all active jobs posted by your company. With a smart keyword search system that carefully scans each candidate’s profile and each listing for the right keywords, that will find the best candidates for your vacancies. We accept all major credit cards through the secure payment platform of PayPal or Stripe.